My husband works for a local hotel. He is at work today and told me not to expect him home as scheduled. Gustav evacuees are checking in today. Luckily the hotel has a pet friendly policy. While this is his job, I know that he will make the evacuees feel welcome. If you live in the Nashville, Tenn., area as I do, the local Red Cross is operating six shelters for folks displaced by Gustav. Today, the Red Cross is asking for monetary donations. Likewise, the Humane Society of the United States is asking for monetary donations. When Katrina happened three years ago, I didn’t do a lot to help. I bought dog food for one of the many shelters that housed pets left behind by the storm. I prayed for a neighbor, who lost family members and housed 17 relatives displaced by the storm. The owner of the small company where I worked did a lot. He donated time and money. Hammock Inc. helped Louisiana Cookin’ publish their magazine when they lost their offices. He made many trips to New Orleans afterwards to help with the clean up. Let’s set aside why we think these horrific hurricanes are happening, whether it be global warming, God’s wrath against gays or due to just back luck, and help our fellow Americans. This morning, I decided to clean up some of the roadside litter on Newsom Station Road. The Metro Drug Court is supposed to send out those required to do community service to do this, but I wanted to do my part as a board member of the Beautification Environment Commission. 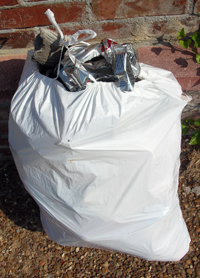 I recycled a hotel laundry bag (at left) to pick up litter. In less than 15 minutes, I had filled the bag with 12 aluminum cans, 10 plastic bottle, one glass beer bottle, a watch, a kitchen sponge, a beautification work glove, cigarette packages and other fast food and paper litter. I probably cleared less than 1/10 of a mile. I guess that the bag weighed about ten pounds. Neither could I pick up every piece of litter along the way. Newsom Station Road is still filled with litter. I don’t do this because I enjoy it. I’d rather be hiking along the greenway or riding my bicycle. I do it because I find litter offensive in my beautiful corner of the world. PlanetTrash will stay out of national politics, as I have offended one faithful reader, who has vowed not to return because I criticized Sarah Palin’s hairstyle and compared her to a well-known criminal (this has been removed from The Earth is Not a Trash Can). The reader is right (apparently in more than one way) and I will only criticize a politician’s record or views. Yesterday, I was really bothered by the choice, and I don’t understand it, as there are other qualified Republican women, such as Condilessa Rice, Kay Bailey Hutchinson and Tennessee congresswoman, Marsha Blackburn. All of whom I disagree with politically, but respect. I was reared by a strong Democratic woman, and I reflect her political views. My sister, also subjected to the same daily dose of the Democratic party, is a Republican. I married a Republican, who changed parties of his own will. My in-laws are still Republicans. I love them all. I think that they still love me. Litter and abusing our planet is not a political issue. It’s one that both parties need to fight. 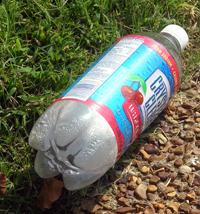 I know just as many Republicans who fight litter daily in their areas of the world. WASHINGTON– Senator John McCain just announced his choice for running mate: Governor Sarah Palin of Alaska. To follow is a statement by Rodger Schlickeisen, president of Defenders of Wildlife Action Fund. “Senator McCain’s choice for a running mate is beyond belief. By choosing Sarah Palin, McCain has clearly made a decision to continue the Bush legacy of destructive environmental policies. “Sarah Palin, whose husband works for BP (formerly British Petroleum), has repeatedly put special interests first when it comes to the environment. In her scant two years as governor, she has lobbied aggressively to open up the Arctic National Wildlife Refuge to drilling, pushed for more drilling off of Alaska’s coasts, and put special interests above science. Ms. Palin has made it clear through her actions that she is unwilling to do even as much as the Bush administration to address the impacts of global warming. Her most recent effort has been to sue the U.S. Fish and Wildlife Service to remove the polar bear from the endangered species list, putting Big Oil before sound science. As unbelievable as this may sound, this actually puts her to the right of the Bush administration. The Defenders of Wildlife Action Fund (www.defendersactionfund.org) provides a powerful voice in Washington to Americans who value our conservation heritage. Through grassroots lobbying, issue advocacy and political campaigns, the Action Fund champions those laws and lawmakers that protect wildlife and wild places while working against those that do them harm. Let’s hope that she changes her tune if she makes it to Washington. As a hunter, I’m surprised that she isn’t a conservationist. Storm drains are never to be used for trash disposal. 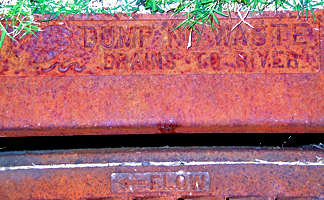 I notice that the newer storm drains in my area have etched on them: DUMP NO WASTE DRAINS TO RIVER. In some areas of Nashville, primarily the Mill Creek area, this will be spray painted on the existing storm drains, not only to protect our drinking water, but to protect the Nashville crayfish. Please don’t litter. Eventually the trash goes into storm drains.